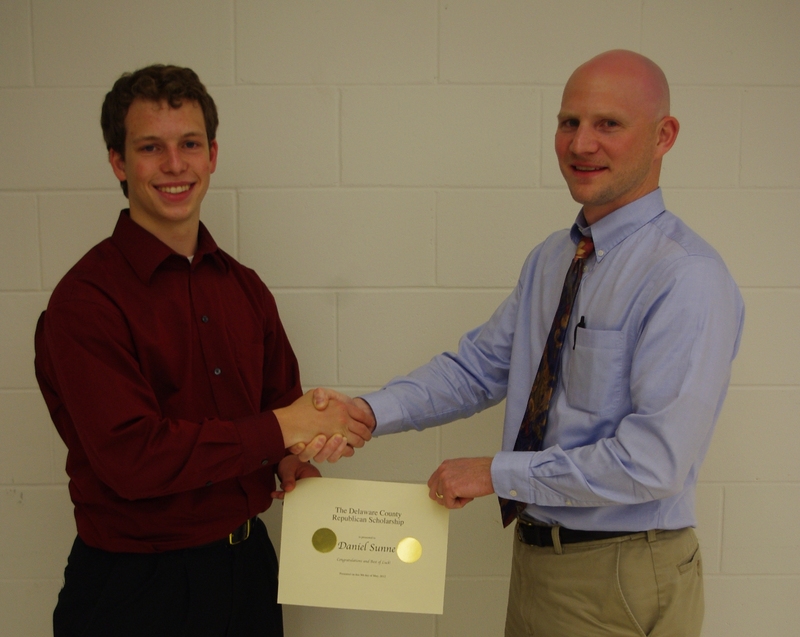 The Delaware County Republican Central Committee is pleased to announce Daniel Sunne of West Delaware High School as its 2012 scholarship winner. Annually, the Delaware County Republicans host a scholarship competition open to students from across Delaware County. Applicants must complete an application form and also compose an essay. Submissions are then reviewed by a committee who selects the recipient. Aaron Pauls, chairperson of the scholarship committee, presented the award to Daniel on Wednesday, May 9th at the West Delaware awards night. Daniel, the son of Dave and Julie Sunne, will be attending Hillsdale College this fall. The Central Committee congratulates Daniel and all area members of the Class of 2012.